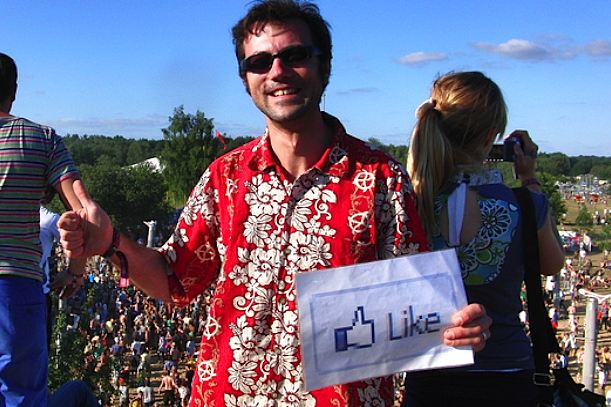 Are we becoming slaves to the “like” button? Are we becoming slaves to the “like” button, the retweet and the thumbs up — and now the Google+ “plus one” button? In a recent piece in the Wall Street Journal, writer Neil Strauss argues that we are, and that all of this implicit and explicit voting that takes place in social networks is encouraging a kind of vicious conformity. We no longer reveal our true selves online, he says, because so many of us are obsessed with judging our conduct based on whether it is approved by our friends, followers or social graph. But is that true? And if so, is it social networking’s fault? Strauss argues that widespread use of social-networking features such as the “like” button, the retweet and the +1 button that is part of the new Google+ are effectively training us to only respond to things that have become popular — and to govern our own behavior so that it gets more likes and retweets, which he says effectively suppresses any unusual or controversial opinion in favor of the mainstream or predictable. Just as stand-up comedians are trained to be funny by observing which of their lines and expressions are greeted with laughter, so too are our thoughts online molded to conform to popular opinion by these buttons. A status update that is met with no likes (or a clever tweet that isn’t retweeted) becomes the equivalent of a joke met with silence. The result of all this, Strauss says, is that “we don’t show our true selves online, but a mask designed to conform to the opinions of those around us.” To the Wall Street Journal writer, the Internet used to be a “liberation from conformity” that was eventually hijacked by advertising and commerce, and has now been turned into a giant, real-time version of high school, in which we all seek approval by tailoring our behavior and the way we look to the preconceptions of the group. “Like” culture is antithetical to the concept of self-esteem, which a healthy individual should be developing from the inside out rather than from the outside in. Instead, we are shaped by our stats, which include not just “likes” but the number of comments generated in response to what we write and the number of friends or followers we have. Is Strauss right in his fear of the “tyranny of the like button?” I would say yes and no — but mostly no. Not that what the author is describing doesn’t exist, because I think it does. Anyone who has spent any time blogging, or on Twitter or Facebook (or any one of a dozen other online discussion forums and websites) has probably felt the same way at times: wondering why something they posted didn’t get more attention, and thinking about ways to draw more eyeballs or comments or likes. When I post a photo of my two year-old daughter on Facebook, I expect likes. I expect comments about how cute she is. And if I don’t get them, I consider the sales-effort to be a failure. Maybe it’s my camera skills. Maybe the timing of my posts is off. Or maybe it’s my two year-old. Sure, everyone in my family likes to think she’s the cutest little button in the whole wide world. But the numbers don’t lie. Do we all feel a subtle — or not so subtle — pressure to conform because of the explosion of features and services that allow people to vote on what we produce? Sure we do. If I post a photo on Instagram, I want it to get a lot of comments and “likes,” and if I post something I think is funny or smart on Twitter, I like to see it get retweeted a lot. And if I write a blog post (like this one, for example) I would love to see lots of comments, and a big number next to the tweet button and the Facebook like button. I’m not sure this is something terribly new, though, or that social networking is to blame. Strauss seems to contrast our current era with some mythical period when the Internet was a bastion of non-conformity and everyone was entitled to their own point of view, or when we were all free to “show our true selves online.” I’ve got news for the Wall Street Journal writer though: there was no such time. For the most part, people have always promoted a less-than-true or idealized version of themselves online — just as they try to do in the real world. Social networks may have amplified this, but it has always occurred. And while the online world may seem a lot like high school in that we are all feeling the pressure to conform, that could be said of the real world too — why else would so many people wear clothes they hate, pretend to like sports they can’t stand, or laugh at a joke that isn’t funny simply because their boss told it? Strauss is right, however, that bowing to this kind of pressure — submitting to the tyranny of the like button — can be bad in a lot of ways. If it encourages people to submerge the things they are really passionate about and not take chances for fear of not being accepted, then that’s probably not good. Dave Pell describes how a venture he started recently called Delivereads (which sends long-form articles to your Kindle) didn’t get much traction when he launched it, and this caused him to doubt whether it was a good idea or not. But he persevered with it, and tried not to think about how many hits it was getting or not getting. So is there a subtle or even overt pressure exerted by all the like buttons and retweeting we see around us? Sure there is. But it wasn’t invented by social networking, and it won’t disappear even if we get rid of Twitter and Facebook. That doesn’t mean we shouldn’t try to resist that pressure to conform — it just means we should be aware that it’s part of the way human beings operate, whether they are online or not. I have lost friends I had for over 15 years because of my expressed beliefs online, specifically on FaceBook. It was a mis-communication, I’m sure. However, when they threatened to “un-friend” me over it, I informed them to do what they needed to do, even if it seemed very childish. Fifteen years of knowing me personally couldn’t trump one stance that I took online? I guess online social media can prove to you who your real friends are. Strauss makes some interesting points, but most often when people use the â€˜likeâ€™ button it is usually not in a controversial way but just saying â€˜hey I like that brandâ€™ or â€˜l like that picture.â€™ As @Galactic mentioned its common nature for us to want to express opinion whether in the form of ratings or recommendations or what you like or donâ€™t link â€“ itâ€™s just another form of WOM but one that is quick, simple and for some a â€˜funâ€™ way of expressing themselves. Iâ€™m sure to a certain extent when there are controversial issues this might be judged but really this must be a very small fraction of how the â€˜likeâ€™ button is used. For brands the â€˜likeâ€™ button is also important as it gives them insight to an audience that they can feel confident likes their brand and who maybe an advocate for their brand and this can beneficial for both the brand and end consumer, who may then receive rewards, benefits etc. Additionally, analytics enables the brand to better personalize communication to that individual based on their likes/dislikes, so it seems a bit extreme to say brands/agencies are hijacking the Internet. It would be interesting to see all the ways that people are leveraging analytics from the â€˜likeâ€™ button and if there are any analysis to support what Strauss claims, or maybe he shares more in his book. Strauss’ article is an interesting read and brings some valid points about society, in general. However, I disagree with his theory about what is occurring online – since the problem he is highlighting is not specific to or brought about by the Internet. What Strauss should recognize is that what is occurring with services like Facebook and Twitter is an aim to mirror our relationships in the real-world. These social networks, in many ways, are emulations of physical interactions. Considering this, the fact that we seek approval and recognition online is not only understandable, but a sign of the services’ progress in reaching their goals. Facebook and Twitter are actually succeeding in virtualizing our relationships. The same way a person aims to earn laughter with a joke in a bar, he aims to do so with Likes on Facebook. Indeed, Strauss’ article is more a generalization about society than an article looking into the inner workings of online networks. Importantly, it must be noted that Facebook does not include the ability to “dislike” something. While there are surely many opinions about this, its inclusion would, algorithmically at least, provide some balance to what is considered newsworthy and not just popularly liked – pun intended. In regards to Facebook and Twitter continuing to grow in its mission of virtualizing the real-world, I hope this appropriate balance comes to be. However, let’s not too quickly judge services that are innovating at growth rates! Great article Matt. I love your coverage. Keep it up the amazing work. The popularity of all these buttons have revealed how little people really want to engage on the web…it’s easier to just like, retweet, etc. than engage in the conversation that the web was supposed unleash. I may be wrong (probably I am) but it seems that the number of comments people leave for any post on the web is getting smaller and smaller as all the buttons have gotten more popular. …You know, that’s pretty much what we do offline, too. It’s not really some miraculous change brought about by the internet. People, for the most part, like to be able to rank and order things in some shape or form. Blame capitalism, blame consumerism, blame competition, blame whatever (or whomever), but society tends to enjoy making things popular and/or unpopular. With “Like” or +1, they get to do it in social media. It’s just an extension of things they’re already doing in their daily lives, whether they’re aware of it or not. In the typical high school situation, a social hierarchy usually exists based on a variety of criteria – people try to fit in with certain people, and (however unfair or damaging it may be) certain people’s votes count for a lot more than others. Let’s call these people the cool kids – and they’re only cool if others think they are. If one does become a slave to the “like”, that dynamic changes. While everyone theoretically has a “vote” (which could be more meritocratic, I suppose), within most social networks only a few people tend to cast them very often. This creates a different hierarchy… where if you want your opinion to matter, it matters (within the context of being enslaved to “likes”). That’s a good point, Denis — thanks for that. I think Paul Graham was right to remove comment ranking from HN. I didn’t like it at first, but now I realize it was the right move. When you allow comment ranking, you’re going to spark “fanboy wars”, because they will try to support their side so it reaches the top of the comments. I think not having comment ranking leads to better, more rational conversations. I’m not even sure comments should be voted, or “liked” at all. I’m inclined to think they shouldn’t be, because they lead to the same problem as comment ranking, but just to a lesser degree. And yet, Slashdot had comment ranking forever and a day. They also had similar tools to â€œlikeâ€ in becoming a fan of a commenter. I tend to think that feedback is actually quite important, particularly in large communities. Isnâ€™t this akin to fearing speaking your ideas in class? Either be like everybody else, or say what you feel. In the long run you will be liked more for the originality of your ideas and comments. I’m not so sure, Lucian — I think voting has a lot of benefits in terms of highlighting the best content. Unfortunately, people are going to try to game it, but that will always be the case with any social technology. If someone is genuinely thinking like this, it’s tragic. I don’t expect anything, I just take any feedback as useful data – and yes, it does help craft how future posts are crafted. Not personal ones, mind, just promotional ones, because that ‘like/share’ button does help spread the message. But let’s reel back and be realistic. There’s nothing wrong with having extra data and feedback, and if it’s causing problems, it’s because we need *more* data. Perhaps a new kind. I think the ‘like’ button has been a really positive revolution for the internet, and props to Facebook for spotting the potential for a very casual, low-commitment button like this (and not feeling the need for a dislike button). Engagement is higher – not everyone wants to reply in text, and a quick positive response button is ideal. You’re applying the concept of SALES-EFFORT to your TWO YEAR OLD DAUGHTER. Wow, kinda invalidates any other views you might have about online social interaction. Hear hear, I was very sorry to read this father thinking like this. I could be wrong, but I think Dave meant that as a parody of the kind of attitude he was describing — I don’t think he actually looks at it that way. so… do you “like” me? More like we are becoming more and more slaves of Technology specially Social Applications. Soon enough we will forget everything and simply rely on the ‘likes’ and ‘dislikes’ of others in making choices for ourselves. If you think that quantity matters, you’ll fall into this. I mean.. right? Yea, we know social proof is huge. Our number 1 instinct as human beings could very possibly be to do what’s familiar, and if our friends vote on something, it’s more familiar than us just having to decide whether or not it’s cool ourselves. The bottom line with the world is, most of us are conformists. I mean.. we just want to fit in and not be judged, right? Having judgement means pain, and we hate that. It’s no secret why thought leaders develop so much haters! Anyone effective in anything is going to deal with that. At any rate, I think the answer is training yourself mentally, to have confidence (and make sure you know what you’re talking about). Then, 500 followers, doesn’t discourage you, when your competitors have 2,000. Play the game to have a lot of those 500 give an actual crap about what you’re doing. There’s lots of people with 30,000 Twitter followers, that have already tuned their broadcasting tendencies out. I’d rather have 20 likes on my Fbook fan page, and 2 clients come out of it, then 10,000 people who did it because I suggested they like it. Cool post. Thanks for letting me spew that one out. I have never and will never click a Like button, I do not agree with Facebook and will not support them. I also have never and will not click a +1 button. Which is why I have refused for years to add like buttons, comment or post voting features, etc., to our website. And gosh, its readership has swelled just the same. But now at least one person a day leaves a comment on something with “Wish you had a ‘like’ button for this!” Sigh. That’s a good perspective to have. As a web-developer, I really dislike clients that ask me to change great designs to flood the page with every social media button in existence. Still, I can understand why many people are crazy about them: whenever somebody clicks on a button their friends also see that. This has inspired an entire industry of companies that promote Facebook pages http://www.buyfacebookfansreviews.com and that just illustrates how important this is to so many businesses. In moderation, social media buttons can be useful but they shouldn’t take over a website and become the focus of your website IMO. You make me not to ‘like’ this article. I tweet it, though.